to ever hit the shelves! PLEASE NOTE: The spare canopy in the box has a protective film on top which doesn't look as shiny and clean as the canopy on the actual nano whoop - This film is to protect the canopy from scratches while not in use. Do NOT remove the protective film unless your going to put the spare canopy on! 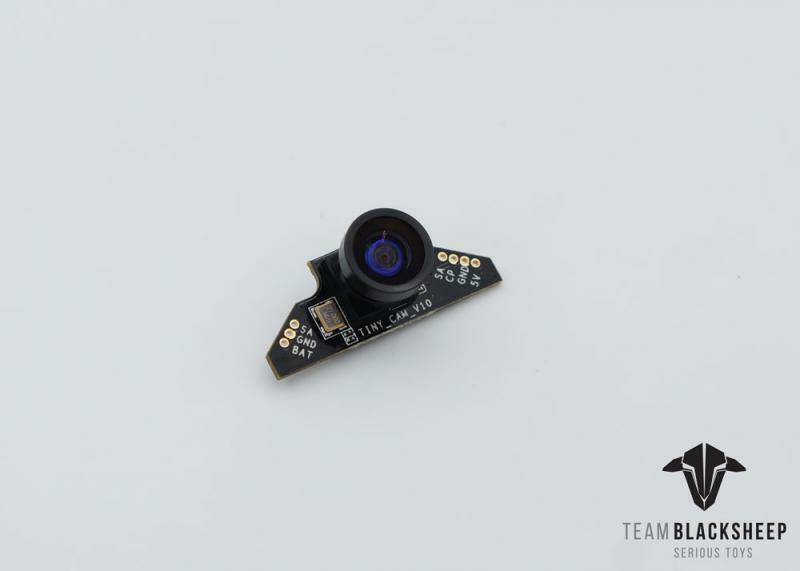 Compared to the Original Tiny Whoop which is a 65mm frame, the nano is only 55mm! Noticeably smaller, lighter and more agile. The size we all wanted! The airframe has been redesigned to be smaller, lighter (3.00g) and utilize no hardware whatsoever. Each duct has only three struts that are heavily reinforced where they attach to the duct or the motor mount. The motor mounts themselves are designed to be compatible with 0615 size motors, but a small plastic peg can be clipped out to make room for 0617 motors. Because the ducts of this airframe are closer together, the battery mount holds the battery on it’s side, which allows free flow of the air. Finally, just under the battery mount are two tiny loops. Jesse wanted these loops to encourage the community to innovate even more Tiny Whoop games. 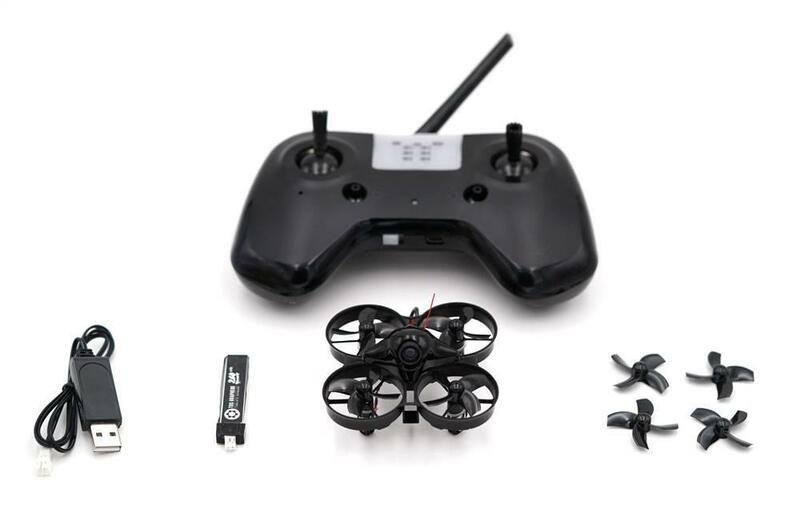 Aimed at the Newer pilots thanks to the non-Betaflight setup, these are perfect for anyone looking at getting into this hobby at a reasonable cost - however we see the more advanced pilots still wanting this due to its small size and being the first of its kind! 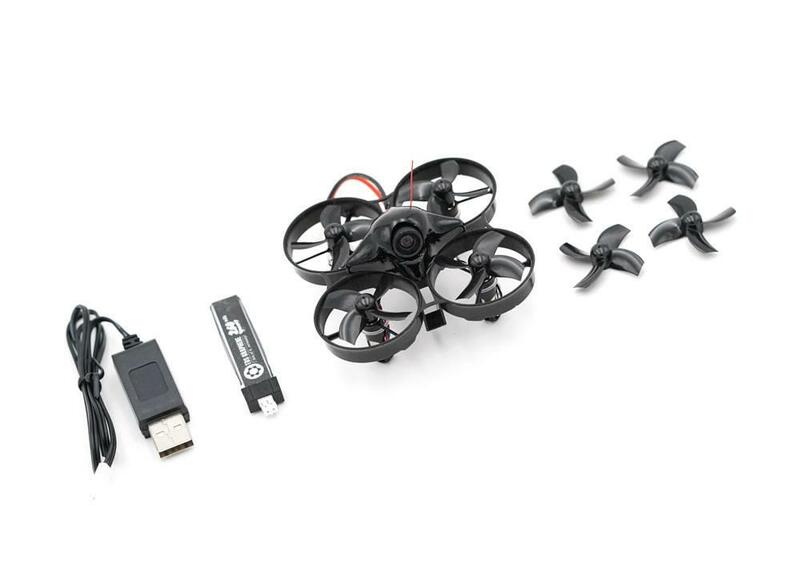 Designed by Jesse P from Tiny Whoop with the technical side being produced by the mad professors over at TBS this little whoop sure has a lot of new features! 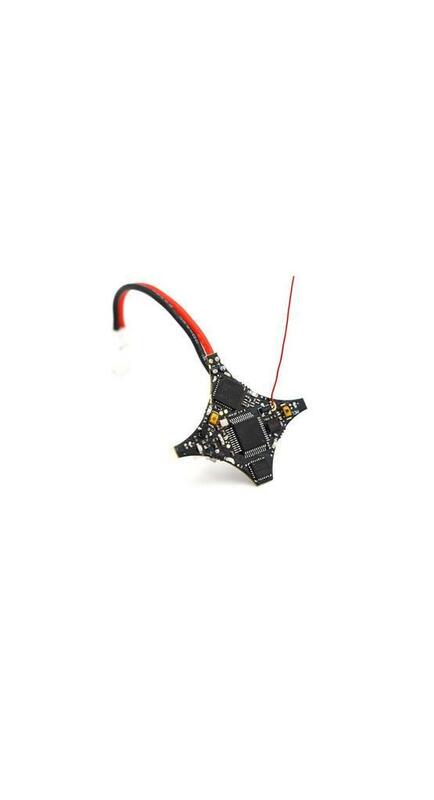 The first 55mm brushed Tiny Whoop to ever have "Turtle Mode" (Flip over after crash) The new F3 flight controller is equipped with hardware that is capable of reversing brushed motors, allowing the aircraft to flip itself over if it lands upside down, making this the first brushed Whoop-style aircraft capable of turtle-ing in any direction. The Tiny Whoop Nano FC is running the newly released “TBS Harold” flight controller software, and is tuned for snappy execution of control commands. VTX control on a dial! 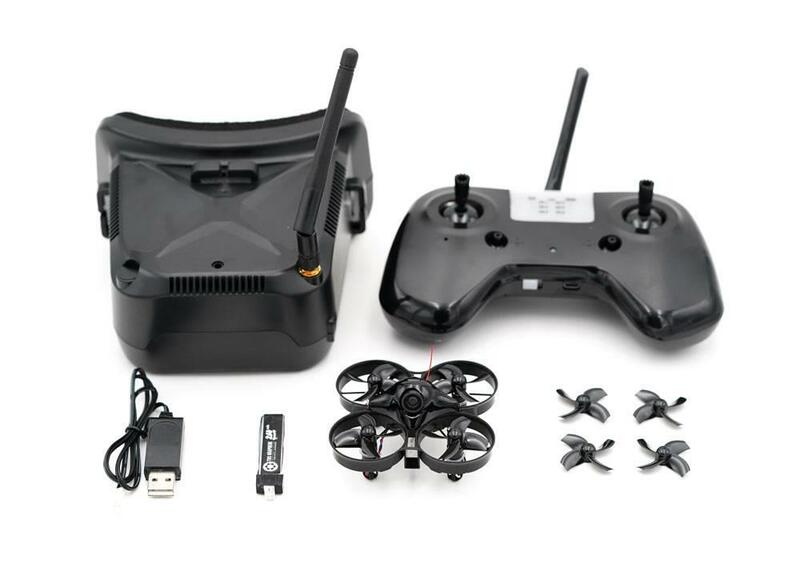 The flight controller has been designed to only allow six(6) 5.8Ghz channels to choose from. Specially selected by Trappy at TBS which he has proven to be the best channels to get 6 pilots in the air - However if you wish to unlock this feature, you can in the TBS Agent Configurator. "Why have 40+ Channels when you will only ever use a few?" - A simple yet very effective touch.